Seoul: Russian President Vladimir Putin is ready to meet with North Korean leader Kim Jong Un "at an early date", the North's state media reported Wednesday, amid a rapid diplomatic thaw on the peninsula. Putin invited Kim and the South's President Moon Jae-in in June to an economic forum in Vladivostok next month although it is not known whether the North Korean leader responded to the invitation. In a message to Kim on the North's National Liberation Day -- marking the end of Japanese rule over Korea at the end of the Second World War -- Putin reiterated his intention for a summit. "I affirm that I am ready to meet you at an early date to discuss urgent issues of bilateral relations and important matters of the region," Putin said in a message carried by the North's official Korean Central News Agency. 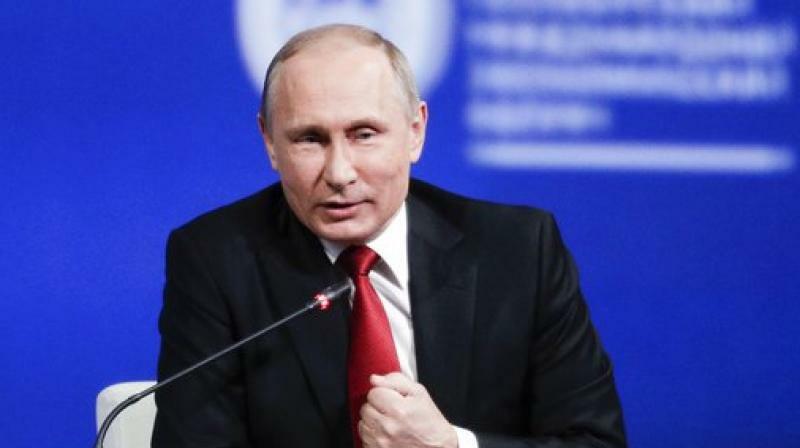 Putin expressed hopes to further develop "reciprocal cooperation including the realisation of the tripartite project" that would also involve South Korea. Kim also sent a message to Putin, KCNA reported, noting the "valuable tradition" of their joint wartime struggle against Japan was the "strong roots" of their bilateral relations. The message gave no response to Putin's invitation, although KCNA did not make it clear if Kim's message came before or after the letter from Moscow.